Descendants from Ireland have been in Silsden to retrace the footsteps of the town's most celebrated doctor. Dr. John Purcell arrived here in 1880, from the village of Feakle in County Clare, to join a small surgery in St. John Street, and very soon established himself as a larger than life character who introduced team sports into the community. He served the town for over 40 years, visiting his patients on horseback and never losing his thick Irish brogue. The Purcell family still live at Feakle and, on the right of my picture, is 95 year old Denis (Dun) Purcell, great nephew of Dr. John, who has never before left his native village. Next to him is his own son, also Denis, who runs the family farm at Feakle, and his grandson Matthew, aged 15. On the far left is Dr Purcell's great grandson Clive Greenwood; third from left is Clive's sister Sarah Richards and between them is Jacci Higgitt (nee Purcell), granddaughter of Dr Mattie Purcell, who older Silsdeners still fondly remember. Above: Family members pictured at Flesher's Cottage - where Dr. John's medical life began in Silsden - alongside Barry Thomas (right), president of Silsden AFC, who is researching the life and times of this renowned doctor. It was Barry's enquiries which led the way for the Purcell family visit. 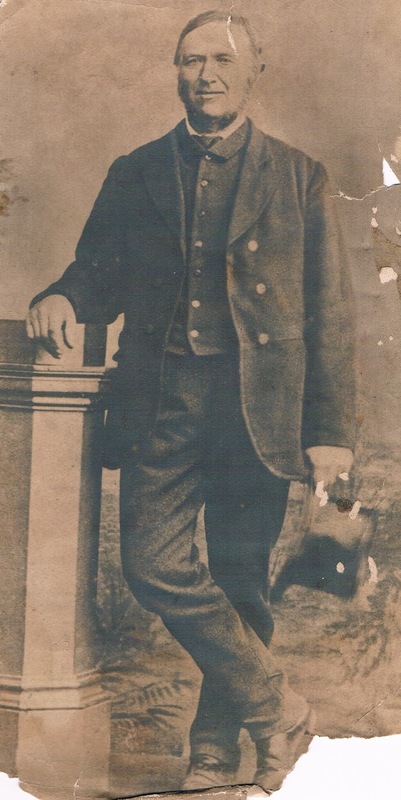 Above: farmer Mr Matthew Purcell of Feakle (1819-1891), father of Dr John Purcell. Above: Dr John Purcell, who remained in Silsden until his death in 1927, married a local girl, produced one son and five daughters, and moved his home and surgery to what is now Carmel House, Wesley Place. 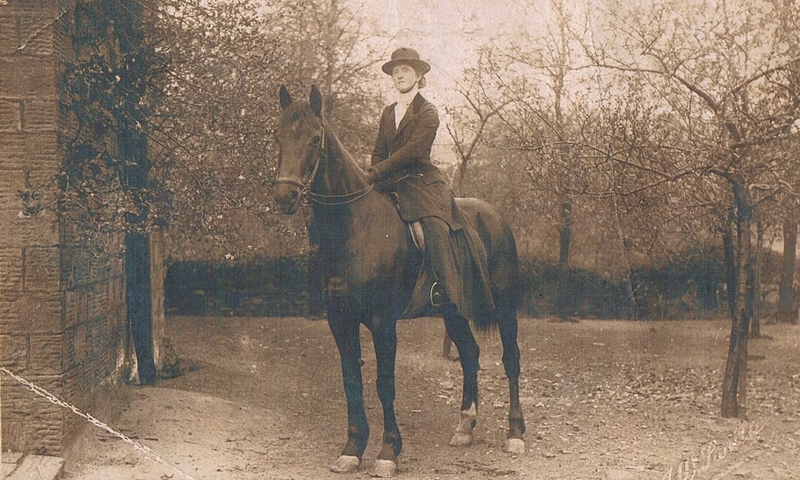 Above: Dr John's daughter Hannah (later Mrs. Greenwood) takes a ride on her father's thoroughbred horse, which was almost certainly brought over to Silsden from Feakle. Dr John Purcell is pictured third from left in the middle row of this Silsden team of handball players in the late 1800s, after introducing the game of handball to Silsden and the surrounding villages. In 1883, Dr. John also launched a local football team, which used the handling code (more similar to today's sport of rugby). 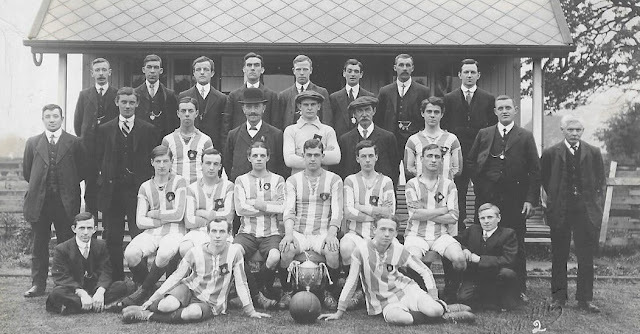 Dr Purcell, wearing a bowler hat (second row from back), is pictured with Silsden FC after 1904 when the town adopted Association football rules and elected him as president. The team colours were blue and white, the same as those of the defunct rugby union club. The doctor also played cricket and bowls. This photograph is from the late Neil Cathey's collection. When Dr. John died in 1927, he was succeeded as local GP by his nephew Matthew "Mattie" Purcell, who also hailed from County Clare, Ireland. He continued the family's sporting interests and is pictured here, soon after his arrival in the town and looking dapper in a bow-tie, with members of Silsden Rugby League Club founded in 1920. Dr Mattie Purcell, like his uncle, was a Silsden GP for some 40 years, with a practice just off Skipton Road. He died in August 1969, having given up his practice two years earlier. His granddaughter Jacci Higgitt (daughter of Mattie's only son Michael) met her Irish relatives for the first time at the gathering organised by Barry Thomas. She attended Hothfield and South Craven schools.